Airtel Network is out again with another surprising package for their subscribers. All the telecom Networks in Nigeria are doing their best to see that their customers are served well. Just yesterday, Glo network launched a tariff plan that offers its customers the cheapest when making call. 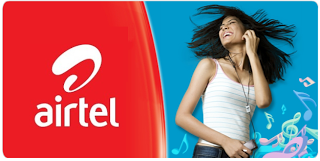 Today, Airtel introduced another night plan that offers subscribers 1.5GB for just N50. Although, all these newly plans were introduced few months ago but a little change was made on them. You could remember the 1hour plan which all always enjoy often because of its unlimited tag and that of its uninterrupted download that goes for N100 only. And also that of N200 sub for 2hours that goes for unlimited download, all are just going well. But Airtel decided to change their mind by capping some of their night plan data(s). Those data they made unlimited are now capped, their recent change has it to be, For 500MB night data plan now goes for N25 and for 1.5GB goes for N50 which will be valid for one single night from 12:00AM to 5:00AM. As you can see, Airtel newly introduced night plan of 500MB for N25 is just similar to that of MTN Pulse Night plan that offers 500MB too for N25 only. This plan is meant to be subscribed once for a night. Very cheap Right? But still cannot be compared to that of unlimited. Airtel also introduced a new data plan that gives you 1GB for just N500 and it is valid for a week. The other data plan is the one of 200MB + 30Mins Airtel calls weekend offer and also free 15MB valid for a week for just N200. These offers will be given to you as a customer when you recharge with N200 and above. ==> The only thing required of you in other to enjoy these data plans is to Migrate to Airtel SmartTrybe by dialing this code *312# then reply by typing 1. Note: if you are not migrated to this tariff plan, you will not be able to use the above mentioned plans. 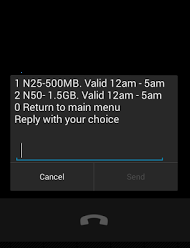 ==> Then reply to the pop-up by typing 2 for the 1GB that goes for N500. And valid for one week. ==> To subscribe for the 500MB and that of 1.5GB plan, then you will need to reply with 3 for both plans. Note, the duration last for a week. NOTE: All call on SmartTrybe tariff plan feature 11kb/s for all national calls made within Nigeria (N6.60kb/min). What's your say about this change, is it welcomed? Love to hear from you..
Share to friends to keep them informed about the new development. Thanks.